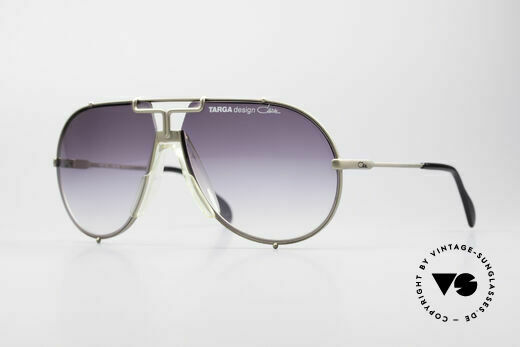 With the vintage 901 Targa Design sunglasses, the CAZAL brand is born in principle. Cari Zalloni (Mr. Cazal) worked for Willhelm Anger in Traun at the beginning of the 1970s. Anger owned the largest eyewear production company in the world at the time, OPTYL, in which Cari Zalloni designed the "Saphira" eyewear collection. When Cari Zalloni presented the designs for the later Cazal Model 901, Wilhelm Anger rejected them. Not suitable for everyday use, too complex and therefore too expensive to produce. On Zalloni’s way home, Günther Böttcher rode with him in the car. Böttcher was an engineer at Optyl and an expert in production processes and their costs. The pair decided to implement the rejected design for themselves and develop their own eyewear collection. Cari Zalloni was responsible for the designs and Günther Böttcher for their implementation and financing. All that was missing was a brand name. Cari Zalloni finally created it from his own name by combining the first letters of his first and last name. CaZal. The 901 Targa sunglasses became a best-seller thanks to the ingenious mechanism of the interchangeable lenses. Other vintage sunglasses with interchangeable lenses followed, such as Cazal 902 Targa, Cazal 903, Cazal 904, Cazal 905, Cazal 906, Cazal 907, and Cazal 908. 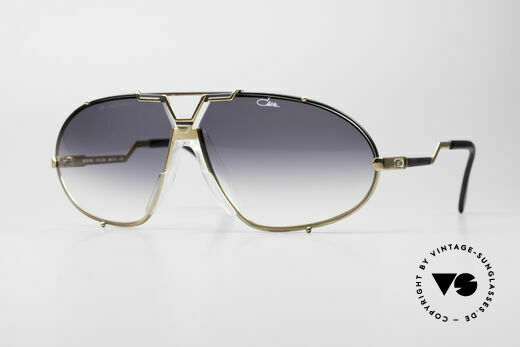 Initially, Cari Zalloni confined himself to creating sunglasses made of metal; later, Cazal also produced sunglasses made of plastic (the 800 series). But it was not only the ingenious technical implementation and the unmistakable design that made the Cazal sunglasses creations successful models: in the 1980s, numerous celebrities adorned themselves with the original Cazals, which caused sales figures to sky-rocket once again. The 901 Targa model alone sold over 100,000 units in its first years of production. Even today, after more than 30 years, the sunglasses created by Cari Zalloni can be found on the faces of countless actors, sportsmen and musicians. You have to know that these are retro Cazal sunglasses. They are new, reproduced Cazal sunglasses based on the old designs by Cari Zalloni. We are happy to still be able to offer the old original 80’s and 90’s Cazal vintage sunglasses to keep the memory of our friend Cari Zalloni alive. Shortly before his death on July 3, 2012, he said: "Vintage is the future of my past." How true!